There can be more to the process of estate planning than simply facilitating asset transfers to your loved ones after you are gone. Legacy planning is a more comprehensive, thoughtful way to go about it. When you engage in this process, you can consciously shape the way that you will be remembered. It is also possible for you to continue to provide a positive influence, even after you are gone. Leaving money is one thing, but the gift of education is priceless. When you facilitate higher learning, you pave the way for young people to achieve their full potential. There are a number of different ways that you can set aside assets to pay for the college education of family members. In addition to this more personal form of giving, if you are in a position to do so, you may want to provide opportunities for other deserving students. You could establish an endowed scholarship, or multiple scholarships, that carry your name. When you take this action, you can change the lives of deserving students that need financial assistance to realize their goals. If you are in possession of family heirlooms, you can carefully decide how you distribute them to your heirs. These items carry a great deal of important history with them, and even if some of them are monetarily valuable, the true worth is something that cannot be measured in dollars and cents. The provenance that goes along with them should be passed along as well so the full context can be understood by the inheritance recipients. As an elder, you have had many formative experiences, and they have invariably helped to shape your personality. The person that you are is part of the fabric of your family, and you can do your loved ones a great service if you take the time to record your personal memoirs. These reminiscences are valuable in many different ways, and they will be useful for anyone in your lineage that is interested in learning about the family history. Everyone has heard of the last will, and most people are aware of what a living will can accomplish. However, there is another type of will that flies under the radar. Ethical wills date back to biblical times, and they have traditionally been used to pass along moral and spiritual values. Though it is not a legally binding document, an ethical will can be a very valuable, heartfelt addition to your legacy plan. These are some of the components that you could choose to include in your legacy plan, but there are others. Plus, we passed over the asset transfer part of the equation to look at some of these more subtle facets, but it is obviously very important as well. We would be more than glad to discuss the possibilities with you in person. 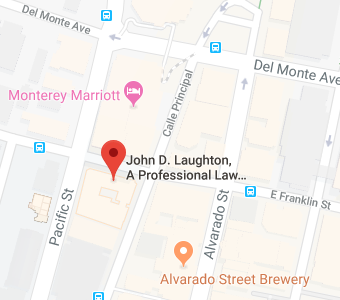 If you would like to schedule a consultation, you can get in touch with us by phone at 831-649-1122, and there is also a contact form on this website.